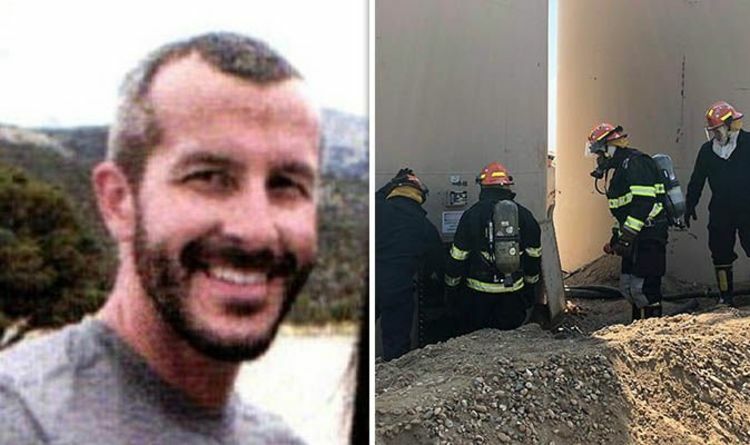 A Hazardous Materials Incident Narrative Report by the Colorado State Patrol, revealed by the Daily Mail, showed the painstaking process workers underwent to retrieve the bodies of Bella and Celeste Watts, who were murdered by their father, Chris Watts in August. On August 16, workers took a total of 14 hours to retrieve the girls' corpses from 400-barrel oil tanks, where Watts had dumped their bodies. Starting at 5am, Colorado State Patrol manually drained the tanks and carefully poured liquid over metal screens to collect evidence. Once they emptied the tanks, the men - who were dressed in breathing gear - entered the barrels to retrieve the bodies of Bella, 4 and Celeste, 3. Because of the toxic fumes, the men could only stay in the tank for a few minutes at one time - making it more difficult to retrieve the bodies. As patrol officers removed the bodies, the corpses' skin had completely peeled off. The skin was later retrieved and given to a member of law enforcement. His wife Shanann and her unborn baby, Nico, were buried just 100 yards away in a shallow grave near the oil barrels. The diameter of the oil tank was only 8 inches, meaning Shanann's body was unable to fit in. Tropper Wilson, who helped retrieve the girls bodies, told the Daily Mail Online: "While the first crude tank was being off-loaded, Trooper Bandy, Reeder and I put rope handles on two containment pools. The report said: "Sergeant Armstrong went up to the top of the tank and looked in the thief hatch. Watts has been sentenced to five life sentences, after murdering his 15-month pregnant wife, Shanann and two daughters, Bella and Celeste. He told officers his wife Shanann had killed the girls, claiming his murder was a revenge plot.